From the death of Queen Mary in 1558 until the arrival of the Sisters of St. Clotilde in 1939, there is little evidence of Catholic activity in Lechlade itself, although the town was surrounded by a number of Mass centres. A census for 1780 tells us that there were only two Catholics living in Lechlade at that time. The nearest of these Catholic Missions was at Hatherop Castle, which was maintained by the Blomer and Webb families. This ancient Mission survived until 1844 when Lady Barbara de Mauley died. In the following year the present Parish Church of St. Thomas of Canterbury was erected at Horcott, near Fairford. This little church continues to be the focus of a parish which serves some 300 families scattered between Purton Stoke in Wiltshire and Aldsworth in the Cotswolds. The Order of St. Clotilde first came to England in 1903 and settled in Guildford. In 1910 a second house was founded at Eltham Park House and a school was established. Owing to the growth of London, it was decided to look for a house in the West Country. The sisters arrived at Lechlade Manor in August 1939. The dining room was converted into the chapel which was dedicated to the Sacred Heart of Jesus and St. Lawrence. Bishop Lee celebrated the first Mass on the feast of St Lawrence, 1939, and it was noted that this saint was the patron saint of the medieval Parish Church. The first resident chaplain was Father Henry Bilsborrow and, after he left, there followed a succession of priests, many of whom were Jesuits, including Father David O’Driscoll who left in 1998. On 25th March 1960, the new Chapel of Our Lady of the Annunciation was solemnly blessed and opened by Bishop Joseph Rudderham. Externally the chapel was designed to blend with the Manor, internally being of a simple contemporary style. After nearly sixty years, the Sisters of St Clotilde departed from Lechlade Manor shortly after their Farewell Mass which was celebrated on 12th July 1998. However, the Chapel of the Annunciation continued to be used as a chapel-of-ease until the final celebration of Mass there on 27th December 1998. Rev. Richard Barton, Parish Priest of Fairford, served the chapel from 27th April 1998 until its closure. For some years afterwards the local congregation was welcomed by the members of Lechlade Methodist Church and Mass was celebrated at 6 p.m. every Sunday evening in their church. On Christmas Eve, during this period,the First Mass of Christmas was celebrated with the children of the parish in St Lawrence’s Parish Church. When the sisters arrived there in 1939 was only one Catholic family in Lechlade. Sixty-five years later there were over sixty. Sister Mary St Edmund McDonnell died in peace and dignity in the afternoon of Wednesday, 16 April 2003 in Paris, on the eve of the great Easter Celebrations which meant so much to her. The Funeral was held at Quincy on Tuesday, April 22. Quincy is about 25km from Paris. Sister Mary St Edmund was part of the Convent and School of St Clotilde at Lechlade Manor in Gloucestershire for nearly all her life, as pupil, nun, teacher, Headmistress and Reverend Mother. Her father was in the Royal Army Medical Corps and she always retained a great affection for military ceremonial. When her father was posted to India the children remained with their mother in England and she became a pupil, at a very early age, at St. Clotilde’s School at Eltham. She became a novice at 17 and later taught both in England and France. She came with the School when it moved from Eltham to Lechlade in 1939. She became Headmistress in 1959, retiring in 1986, but continued to be a member of the Lechlade Community, and continued to take a loving interest in the School until it closed in 1998 when she moved to Paris. Daphne Walters, from the Old Girls’ Association says “I’m sure all who passed through the School keep a picture of “Eddy’s” tiny, energetic figure in their hearts and they know what she meant to them. She had high standards and expected them of others but doing one’s best was what she appreciated. She loved the history and traditions of Britain; the countryside; the spoken and written word; music; animals and she went into rhapsodies when girls brought their babies to meet her. She had the great ability to put people at their ease with her lively chat. Above all, she loved the young, everyone was unique to her and she considered it a privilege to help nurture them and foster their abilities through the St. Clotildean ethos”. ‘I can name most of the nuns, who include the Mother Superior who came over from the French mother house for the occasion. Sr Dominique was Reverend Mother at the time of the chapel’s design and construction. It was the headmistress, Sr Edmund, who told us that Sr Dominique’s input to the chapel’s design was not widely known and that she had considered every item in great detail. On the exterior the new chapel respected the style of the existing building and its features. That may have been the architect’s doing. On the interior, however, I had the impression that she wanted to avoid clutter and aimed for simple uplifting lines and lighting. The Order was French and she was French and would likely have followed progressive French and indeed European church architecture of the time. Concurrently, we pupils were made aware that Coventry Cathedral was being rebuilt and saw the publicity and some of the details, which became familiar to us. I might add that Sr Dominique was also a very inspiring and splendid teacher of French literarature which evidently she loved. I am sure that all her pupils were enthused by her lessons on the great classics – Racine, Corneille, Ronsard (Sur la mort de Marie), Mauriac, St Exupery et cetera, and she would calmly make us read material not on the syllabus before exams. Blessed Stephen Rowsham Priest Martyred in Gloucester March 1587. Fr.Anthony Dolan is writing a history of the Nottingham Diocese and we are looking to ensure that the Religious Congregations who had a presence in the Diocese are included. We think the Sisters of St.Clothilde were based at the Cathedral in Nottingham at some stage. If so, please could you send us a paragraph about the history of your congregation and its charism; as well as when you came into the Diocese, what you did and when you left. Dear Sister, Many thanks for your comment. I was Parish Priest for Lechlade as the Sisters were selling up the property so I only had direct contact with the Order for a few months back in 1998. I would recommend that you contact their headquarters which will be somewhere in France. Kind regards Richard. Communaute des Soeurs de St Clotilde, 116 rue Lourmel, 75015 Paris. Regards to all old pupils. I am Edith Mazuré. I was in St -Clotild’s for one term in 1959 ( ?) . I was Sr Dominic’s niece.Actually my son and his family are living in London. So I come to London several time’s in the year. Randomly,they are going on holiday’s near Lechlade next week . So I ask my grandaughter Daphné to light a candle for me in the church. Life goes on whith Saint Clotilde……. Hello, my name is María Gonzalez and I was at the Convent for five years. From 1960 to 1965, with my sister Mercedes. From Spain. I have unforgettable memories from those years and am sad to know the nuns are no longer part of Lechlade. I would love to visit the school, but if it is no longer there it is not really worth the trip. Please I would love to have some news and all the best to all those pupils which I remember so well. I will try to send some pictures when I get back home. Many thanks, Maria, the school closed in 1998 and the manor is now a private residence with some new houses in the grounds. The nuns returned to France and I presume they have all died by now. Former pupils visit this site regularly so further information would be appreciated. Hello Maria, I remember you very well – you taught me how to play Spanish Flamenca on the guitar. To this day, it’s still the only thing I can play! I am Marysia Ziolkowska/Herb and was one of a group of Polish girls that were pupils at the Convent. I joined in 1956 and left in 1968. The nuns were amazingly generous and very understanding to the plight of Polish refugees who could not return to Poland post war and were attempting to make a new life in U.K.
After a long time I found this webside. I spent one year at the Convent St. Clotilde (1968 – 1969) I worked as a help to learn the English Language. There are so many very special memories and I wish so very much to get in touch with some people who spent their time with me. I am from Switzerland. 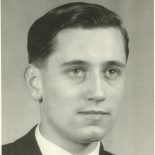 My name Freddy Scheuermann, I am now married for almost 50 years and my name is Zimmermann. I still am in contact with Sister Marie Jehanne who lives now in France, Voges. Thank you, Elfried, your memories would be most welcome. With kindest regards Richard. Dear Richard, thank you so much for your reply! I wish I could get in touch with some of the girls back then. Some names come to my mind: Jenny Lovesgrooves, Judith and Elisabeth Gsell, Trudi Giger, Elisabeth Muff. Also Sister St. Patrick, well, if she is still alive, she must be quite advanced in age. I am so absolutely grateful for this wonderfull time I was able to spend at Lechlade Manor. Thank you for all the people who made it possible and who I’ll never ever forget! I am Rebecca Sarjent and was the wonderful convent for 1962 to 1973. Number 8 of the nuns is sister Mary Margaret (Lundburg) who I think is in the graveyard and whose grave is on the left in the photo. This entry was posted on June 22, 2016 by Richard Barton in Fairford Parish and tagged Captain Lindsay Garrard, Chaplains, Fr W.J. Dobbin, Gloucestershire, Guild of Our Lady of Ransom, Lechlade, Lechlade Manor, Local History, Monsignor Goulder, Organ Builder, Roman Catholic, School, St Clotilde's Cemetery, St Clotilde's Convent.